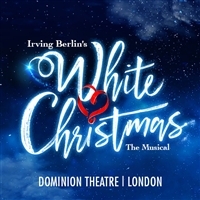 Make it a magical Christmas with this spectacular brand-new production of Irving Berlins White Christmas. Experience this "terrific dose of pure escapism" (The Times) as this feel-good family musical lights up the Dominion for a strictly limited season from November 2019. Reprising their acclaimed roles following a sell-out season at Curve, Leicester are Danny Mac (Sunset Boulevard, Strictly Come Dancing finalist) as Bob Wallace and Olivier nominated Dan Burton (Gypsy, Singin in the Rain, Jersey Boys) as Phil Davis. This "glorious revival" (The Telegraph) is brought to life by acclaimed Curve Artistic Director Nikolai Foster (Annie, Breakfast at Tiffanys) and two-time Olivier Award-winning choreographer Stephen Mear (Mary Poppins).